Man United’s former gaffer, Sir Alex Ferguson, has backed Scott McTominay by comparing him to one of the Red Devils’ very own David Beckham, according to reports. 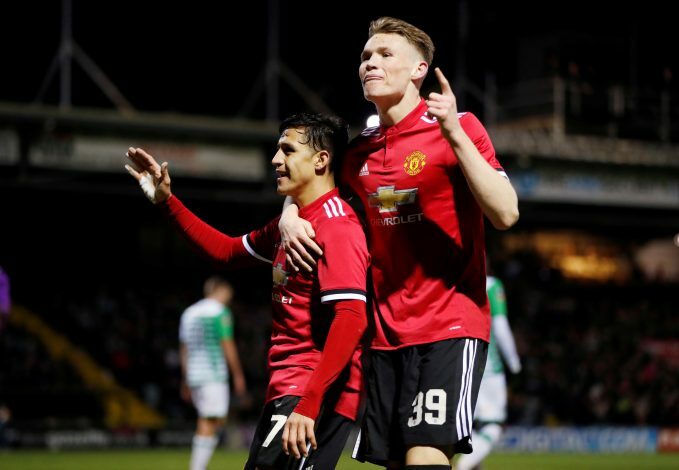 McTominay’s steep rise in United’s ranks has caught everyone’s attention, and Ferguson too, seems to be highly impressed by the 21-year-old’s development under current boss Jose Mourinho. The young sensation was enrolled in the club’s youth system when he was just eight years old, and Fergie sees similarities between him and club legend, David Beckham. While talking to Scottish Sun, Ferguson stated: “Scott was a wee bit like David Beckham. When he joined us, he was just a wee small lad and then, all of a sudden, whoosh, he just shot up. “David didn’t even get into our youth team the year we won the FA Youth Cup until the semi-final. It’s a growing thing. Paul Scholes was just a small lad, but he sprouted up to 5ft 8in, the height he is now. “Scott was a skelf of a boy, then he sprouted when he became an apprentice. In fact, he was playing centre-forward for the youth team. They lost Ashley Fletcher to West Ham and Marcus Rashford wasn’t getting into the team at the time because he was also growing. The highly-rated midfielder, who also made headlines on the international front when he decided to join Scotland’s national team over England’s, understandably won over Ferguson by making this decision. 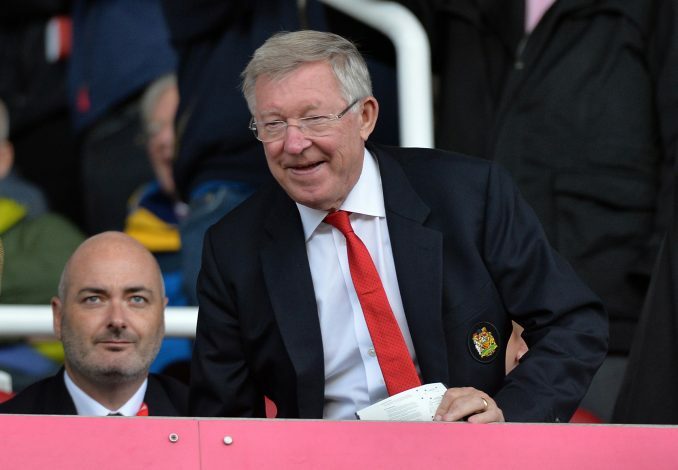 SAF added: “Scott was eight years old and he came into my office before a game with his father, Frank. Dave Bushell, United’s welfare officer, brought them to join our academy system. He was the same as Rashford, there from eight years of age. “There’s a photograph somewhere from the year I left and I’m pictured with McTominay and he’s only small. When Scott came in as an eight-year-old, I knew he was from Lancaster and thought he was English. “When I found out his family was Scottish I told him he had to play for Scotland! I saw him at the Munich memorial service and reminded him of that conversation. “It would have been difficult for his father if he hadn’t played for Scotland. No matter he was born and brought up in England, his father has to go back to Scotland and face his own mother and father! It would be difficult for the father to go back to Scotland and say to his father ‘My boy’s playing for England’. “The sensible thing is to play for Scotland. He’ll get plenty of games for Scotland. He’s the right type of person, character-wise and temperamentally. He has manners.